GoldieBlox has teamed with Random House Children’s Books to launch a new range of book titles based on the popular toy line. 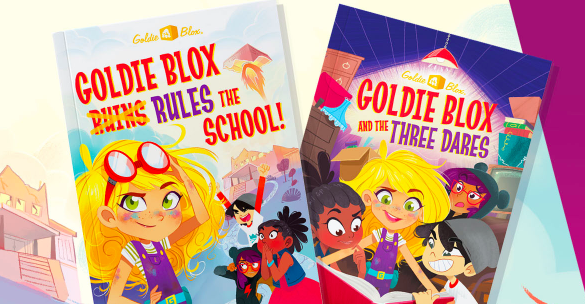 Penned by the children’s book author Stacy McAnulty, the series brings Goldie to life in two new titles: Goldie Blox Rules the School and Goldie Blox and the Three Dares. Each chapter book will chronicle her passion for inventing, her friends and their world. The book series is the next step in GoldieBlox’s evolution from a toy company to a children’s multimedia brand, continuing on its mission to make STEM fun and less intimidating for kids. The Goldie series offers readers a relatable female role model in literature who uses STEM to navigate everyday middle school problems. 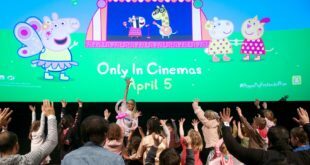 “I created Goldie five years ago to inspire young girls as the face of the Maker generation,” said Debbie Sterling, founder and CEO of GoldieBlox. “Since then my vision has continued to expand, from construction toys and instruction books with stories designed to get girls building to a coding app, a YouTube series and now, this book series that I hope girls and boys will grow with for years.